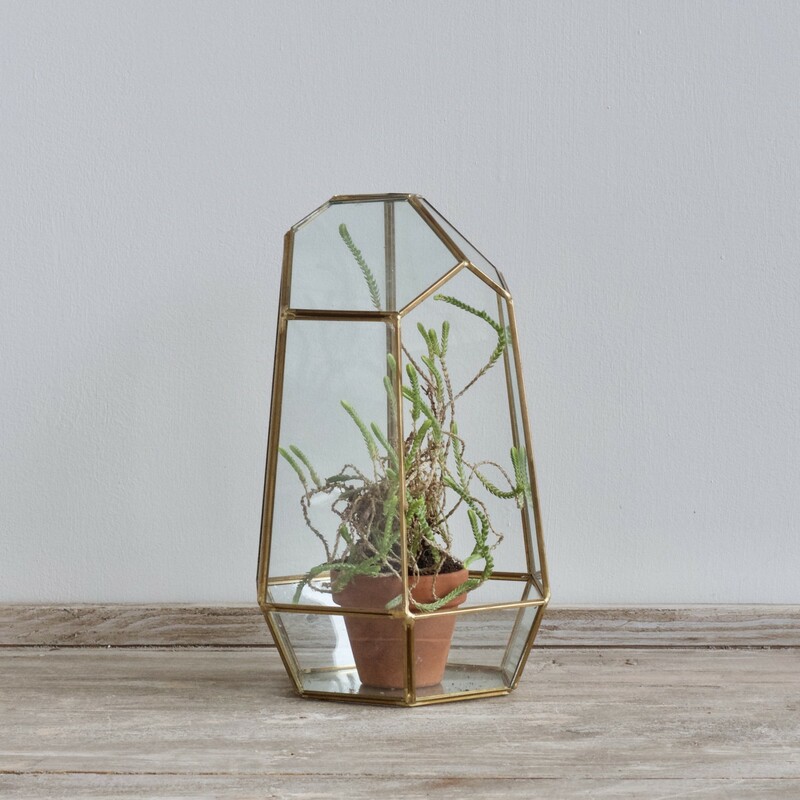 Contemporary geometric brass framed terrarium. Perfect for small plants and succulents. Five available. Plant not included.